I have been a fan of Proporta since the first time I used one of their products (the iPAQ Aluminum case). Recently, Proporta has expanded their line of aluminum PDA cases. 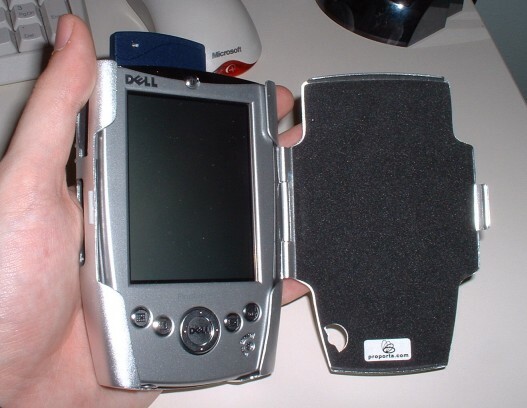 One of their new cases is for the Dell Axim X5. 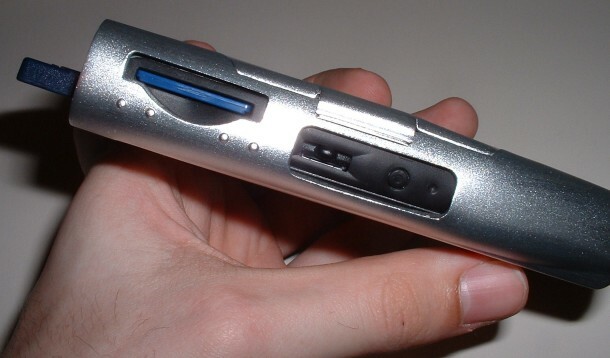 The Axim X5 has a number of buttons and ports that should be exposed (unlike my iPAQ 3600 that only has a few), so I was interested to see how Proporta would make a case that protects the device, while still leaving parts of it easily accessible. Also, since the Axim is one of the larger new PDA's on the market, I was interested to see how much bulk the case added to the device. 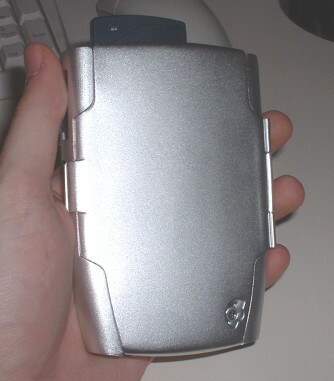 Like many PDA's, the Axim's style is modeled as an all-in-one, so it does not have the easy expandability of a device like the iPAQ (which lends itself well to form-fitting cases). This presents two problems when trying to develop a case for the Axim. First, the case has to be able to somehow hold the device since there are no connection "ports" to connect to. Proporta accomplishes the task of holding the Axim in the case while it is closed by a partial aluminum cover on the base and a small piece of aluminum on the top. But when the case is opened, the top tab does not hold the device in. Proporta saw this problem, and invented a creative solution. Embedded inside the back of the case are two metal pieces which grip around the two small bumps on the back of the battery. Together, all this makes the device stay securely in the case. The second problem is bulk. Aluminum cases are supposed to add protection with minimal size. I believe Proporta did the best job they could at making the case as formfitting as possible, but the case does add a little more bulk than the iPAQ case did with my iPAQ. 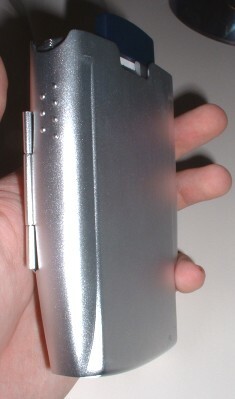 The aluminum Axim case leaves eleven ports, buttons, or other things accessible while the aluminum case is on the device. These places have less protection, but damage is still less likely due to the aluminum around them. On the bottom of the case, both the AC adapter port and the serial port are exposed. This works great for connecting the AC adapter or the USB sync cable, but the added size of the case makes it not possible to connect the serial port via the sync cradle. Usually you would expect the front face of the case to leave nothing exposed, but Proporta added a little feature and left the cool little Axim speaker exposed. Call it an added bonus for users that like to listen to the "high fidelity" sound of the embedded speaker. (Don't deny it, you know you do it.) On the left side of the device the SD card slot, scroll switch, record button, and soft reset button are all accessible. The case makes the SD card slot a little more difficult to use, once again because of the added size of the case. The scroll switch works just well with the case and comes in very handy for controlling the volume in Windows Media Player. The record button is near impossible for me to press, though I only blame this partially on Proporta as I can not always get it to activate when the device is not in this case. Really this button is not of any help because the microphone on the front face of the device, so it is covered by the aluminum casing. The soft reset button is the final button accessible on the left side. Almost the whole top of the device is exposed for use. The CF slot is exposed as is the access for pulling out cards. The IrDA port is exposed for beaming as is the headphone jack. 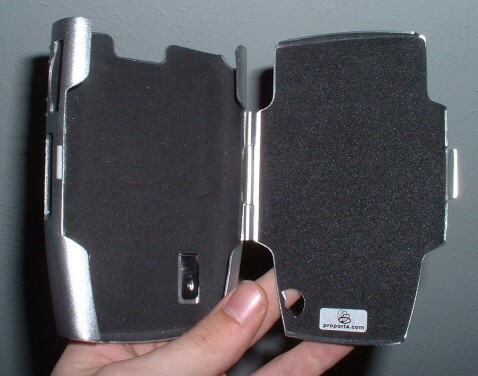 The stylus can be taken out of the device both when the case is open and when it is closed. 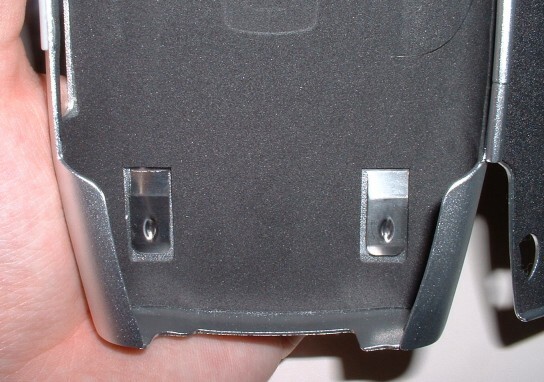 Because of all the buttons and the SD slot on the left side of the Axim, Proporta had to move the hinge for the cover to the right side of the device. This causes the device to be easier to hold by right-handed user, though it takes a little getting used to as it seems like it opens the wrong way. One of the complains I would have is that the sync/serial port is exposed at the bottom. Being that I do not have a USB cable, it would be nice if there was some kind of cover, though I understand that many users have the USB cable and having this port always open is helpful. As I stated before, the record button is not very easy to press with the case, nor does it really have a lot of functionality when the case is closed (because of the hidden microphone). The biggest problems with this case are really only because of the style of the Axim. The Axim does not let itself particularly well to a form-fitting case, but Proporta makes likely one of the best form-fitting aluminum cases for the Axim. Once again, I am very satisfied with Proporta's solution for protecting the Axim with a solid, stylish, and practical. I have little fear of my Axim being damaged with this case. The aluminum Axim X5 case retails for $39 US (about 27.45 in the UK) shipped from Proporta and is likely one of the best hard cases available for the Axim.